DOES THE AUCTION CYCLE HAVE AN EFFECT ON THE MOMENTUM STRATEGIES IN TURKISH BOND MARKET? In this study, performances of momentum strategies has been documented using the 5-year and the 10-year maturity Turkish bonds between the dates March 2010 and August 2017 with various look-back periods. The U.S. 10-year maturity bond yield and the Istanbul Stock Exchange 100 total return index are found to be the best performing momentum indicators. There is an improvement of 10.46% annual return while using the U.S. 10-year maturity bond yield as the momentum indicator. Because of the liquidity-thin emerging markets’ supply pressure of public debt, the auctions need further attention. After a minor change to (Beetsma, Giuliodori, de Jong, & Widijanto, 2013) methodology, the treasury debt auction cycle effect is calculated for the 5-year and 10-year maturity Turkish bonds. In accordance with the auction cycle effect, the employed simple momentum strategy is adjusted. This new adjusted momentum strategy improves annual returns from 0% to 6.90% (%3.5 on average) across all the momentum indicators and the look-back periods. The time series momentum is found to be existent in the Turkish bond market for the aforementioned period. The supply side pressure by the treasury auctions has a delaying effect on the time series momentum. Employing the other momentum indicators performs better than the bond momentum itself. The adjusted momentum strategy enhances the annual returns up to 11.46%. Asness, C., Moskowitz, T., & Pedersen, L. (2013). Value and momentum everywhere. The Journal of Finance. Beetsma, R., Giulidori, M., Hanson, J., & de Jong, F. (2018). Bid-to-cover and yield changes around public debt auctions in the euro-area. Journal of Banking and Finance, 118-134. Beetsma, R., Giuliodori, M., de Jong, F., & Widijanto, D. (2013, September). Price Effects of Soverign Debt Auctions in the Euro-Zone the Role of the Crisis. European Central Bank Working Paper Series. Beetsma, R., Giuliodori, M., Hanson, J., & de Jong, F. (2016). Domestic and Cross-Border Auction Cycle Effects of Soverign Bond Issuance in the Euro Area. CEPR No.11122. Cakici, N., & Tan, S. (2013, September). Size, value and momentum in emerging market stock returns. Emerging Markets Review, pp. 46-65.Chan, L., Jegadeesh, N., & Lakonishok, J. (1996). Momentum Strategies. The Journal of Finance. Durham, J. (2013, December). Momentum and the term structure of interest rates. Federal Reserve Bank of New York Staff Reports. Duyvesteyn, J., & Martens, M. (2014, Winter). Emerging government bond market timing. The Journal of Fixed Income, pp. 36-49. Fabozzi, F., & Mann, S. (2012). The Handbook of Fixed Income Securities (8 ed.). New York: McGraw-Hill Education; 8 edition. Fleming, M., & Remolona, E. (1997, December). What moves the bond market? Federal Reserve Bank of New York Economic Policy Review. Fleming, M., & Rosenberg, J. (2007, August). How Do Treasury Dealers Manage Their Positions? Federal Reserve Bank of New York Staff Reports. Griffin, J., Ji, X., & Martin, J. (2003). Momentum investing and business cycle risk: Evidence from pole to pole. The Journal of Finance, 2515-2547. Ilmanen, A. (1995). Time-Varying Expected Returns in International Bond Markets. The Journal of Finance, 481-506. Ilmanen, A. (1997, June). Forecasting U.S. Bond Returns. Journal of Fixed Income. Jegadeesh, N., & Titman, S. (1993). Returns to buying winners and selling losers: Implications for stocks market efficiency. Journal of Finance, 65-91. Jegadeesh, N., & Titman, S. (2001). Profitability of mmentum strategies: An evaluation of alternative explanations. The Journal of Finance. Lou, D., Yan, H., & Zhang, J. (2013, May 2). Anticipated and repeated shocks in liquid markets. Available at SSRN: https://ssrn.com/abstract=1659239 or http://dx.doi.org/10.2139/ssrn.1659239. Luu, B., & Yu, P. (2012). Momentum in governmen-bond markets. Journal of Fixed Income. Menkhoff, L., Sarno, L., Schmeling, M., & Schrimpf, A. (2012). Currency momentum strategies. Journal of Financia Economics, 660-684. Moskowitz, T., Ooi, Y., & Pedersen, L. (2012). Time series momentum. The Journal of Financial Economics, 228-250. Pastor, L., & Stambaugh, R. (2003). Liquidity risk and expected stock returns. Journal of Political Economy. Treasury, T. P. (2013). Principles of participation in the auctions of government domestic borrowing securities. Warga, A. (1992, December). Bond Returns, liquidity, and missing data. Journal of Financial and Quantitative Analysis, pp. 605-617. ISNAD ÖZTÜRK, İlkay , AKAT, Muzaffer . "DOES THE AUCTION CYCLE HAVE AN EFFECT ON THE MOMENTUM STRATEGIES IN TURKISH BOND MARKET?". 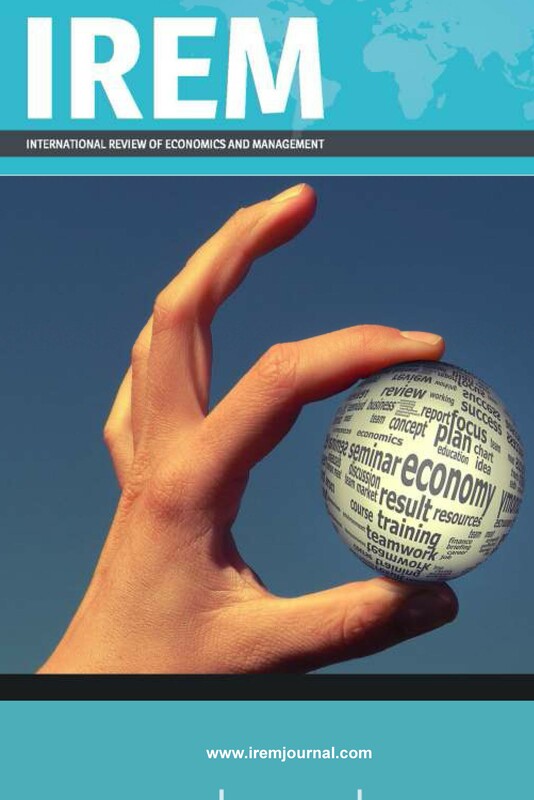 International Review of Economics and Management 6 / 2 (January 2019): 59-83.